Protecting life is serious business. In order for you to do your job with confidence, we need to ensure that the devices, software and services we supply are reliable and secure. When we build a new hardware or software product, it isn’t just about functionality - we also make it a top priority that your information is tightly guarded. This way, you can trust your tools to keep important information safe and focus on what really matters. Understand the many security measures implemented by Evidence.com, including access control, evidence integrity, and more. Find out about the principles of Axon Fleet's commitment to information security and video evidence authenticity. 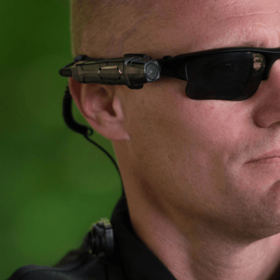 Discover how Axon View protects the confidentiality and integrity of Axon body camera connectivity and video files. Understand how the Axon Dock plays its part to protect the confidentiality and integrity of Axon video files. Hackers and other malicious actors move fast, and they take advantages of entities that can’t keep their systems up to date and secure. Axon Cloud Services are delivered as Software as a Service and not only are security patches applied well within vendor recommendations, but Axon Cloud Services also ensure that Axon devices that are part of the Axon Network frequently receive security upgrades. These security updates and upgrades come out of the box with Axon Cloud Service licenses and do not require customer interaction. Axon's security upgrades and patches are applied during Evidence.com's Maintenance Schedule. By having a laser focus on security and aggressively investing to maintain such security, we are able to deploy and appropriately manage advanced security tools and threat prevention solutions that are cost- or resource-prohibitive to individual customers. Unlike what you would find with an off-the-shelf anti-virus software that you install yourself, we offer advanced protections that deter even the most sophisticated attackers. We have finely tuned web application firewalls, leverage security intelligence tools for continuous monitoring, and deploy layers of defense to detect and react to malicious activity. All non-security related issues should be directed to Axon Customer Support. TASER’s VP of Information Security, Jenner Holden, explains the advantages of cloud computing and things to look out for when selecting a partner. He also covers Evidence.com’s security practices.